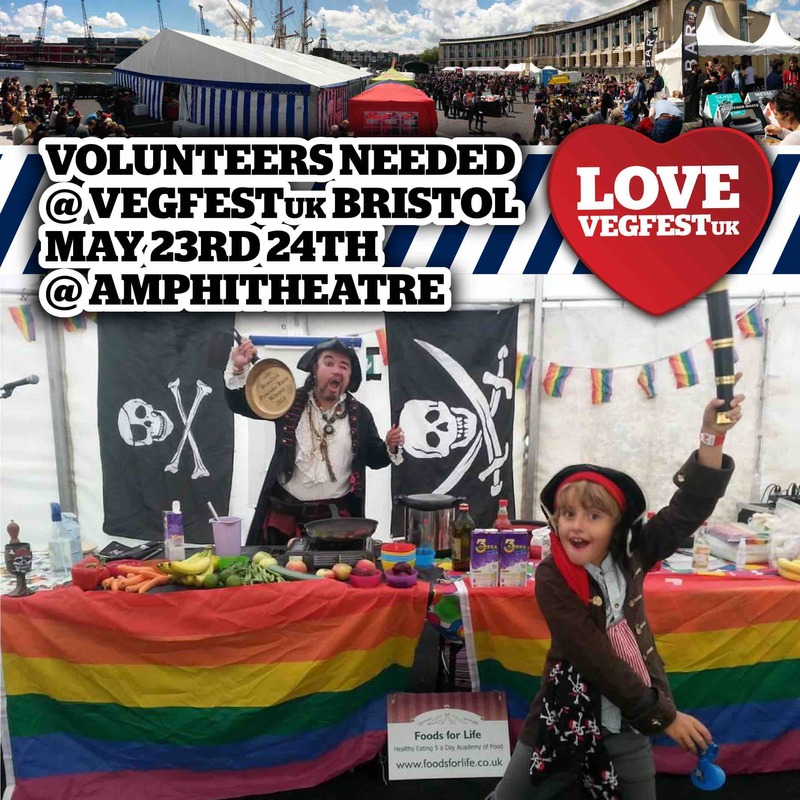 It's that time of the year when we're edging towards the summer and yearning for the next VegfestUK Bristol at the hopefully sun-lit outdoor Amphitheatre. As many of you have heard before, we have a brand-new show too in Glasgow this December, so 2015 promises to be a fun and action-packed year for all! Prices for stalls, electricity, storage etc. If you're a vegan activist looking to get your vegan message heard in your local communities, how can we make sure that our vegan outreach measures are effective in getting people to go vegan? What more can we do in producing the next wave of vegan activists who will continue what we do? 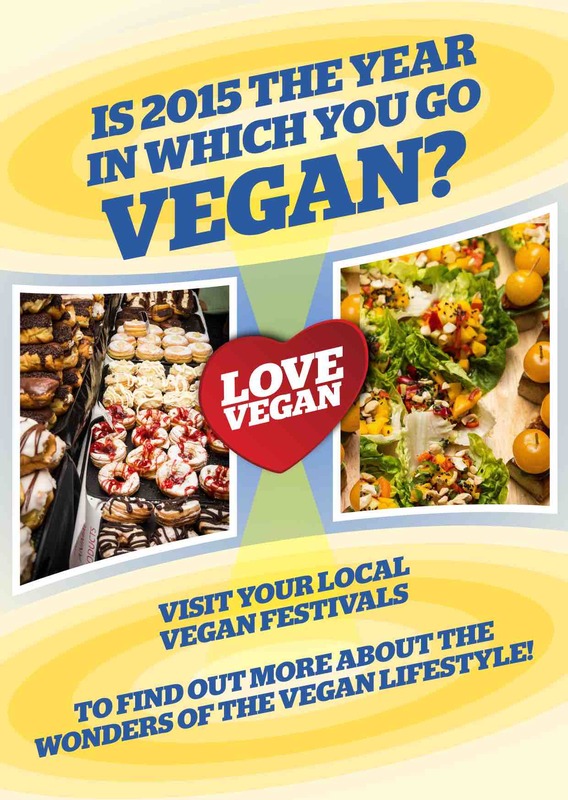 Come and find out at the Vegan Activists Workshops at VegfestUK Bristol! 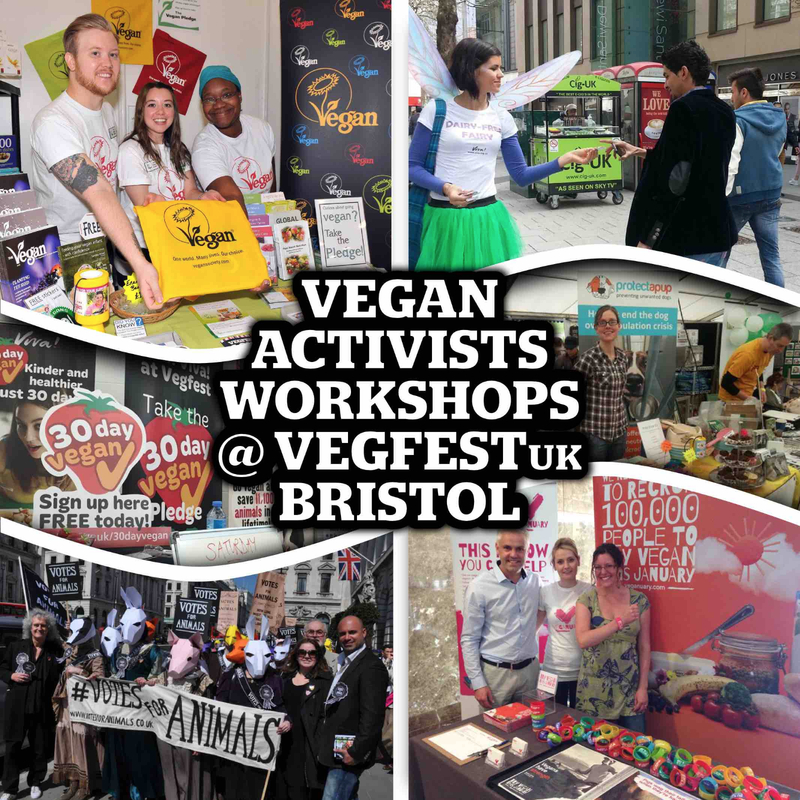 Over 160 stalls have been snapped up at Bristol this year, and with 15 caterers and 4 licensed bars on top of headline DJ's such as Alfredo (Ibiza) and LTJ Bukem, VegfestUK Bristol will see a party atmosphere in the evenings after some solid vegan education during the day from talks, demos and workshops. 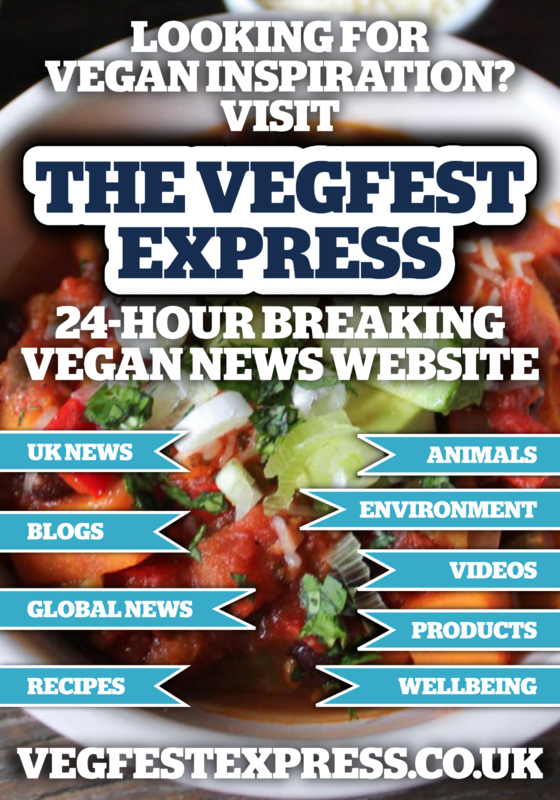 Bookings for VegfestUK Bristol 2016 will be live from September 2015. 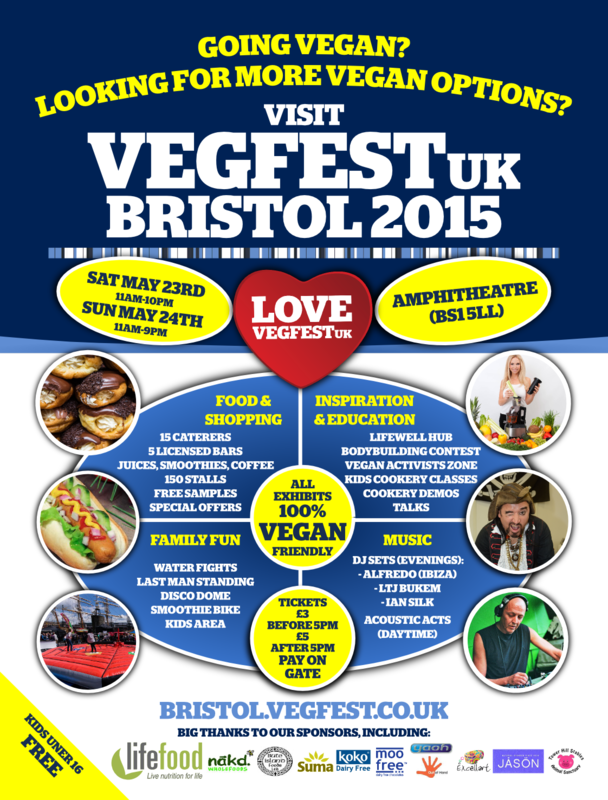 Help with flyering for VegfestUK Bristol on the Friday May 22nd very welcome! Over 200,000 flyers and around 3,000 posters have now been distributed for our Bristol event, with plenty more to go out. 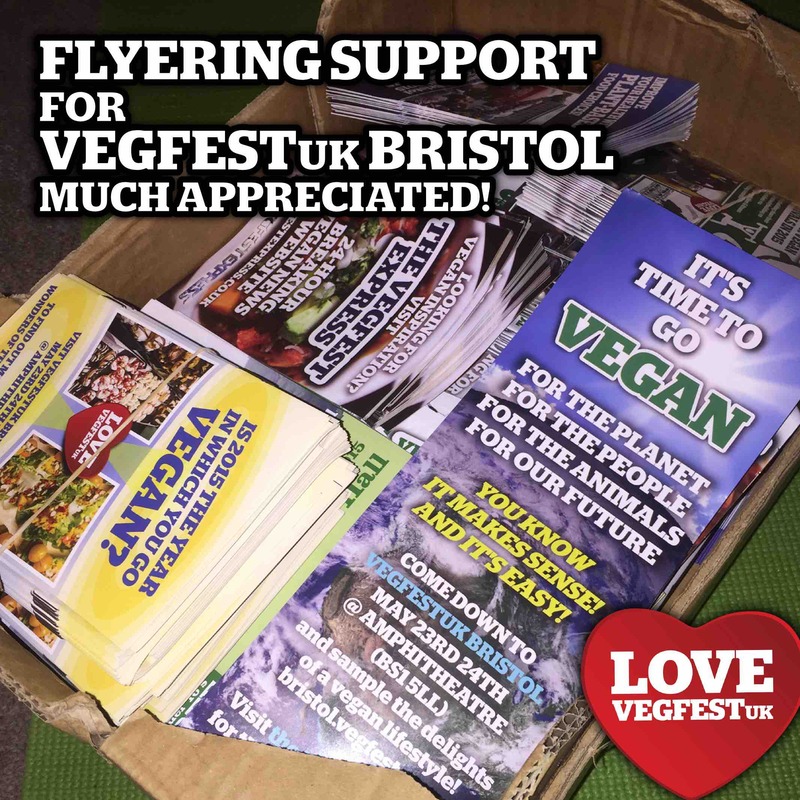 We're looking for more help with 1-to-1 flyering in Bristol on the Friday May 22nd just before the event – the record number of tickets sold on the gate at our Brighton show earlier this year has shown resoundingly how valuable last-minute flyering in the run-up to the event can be. 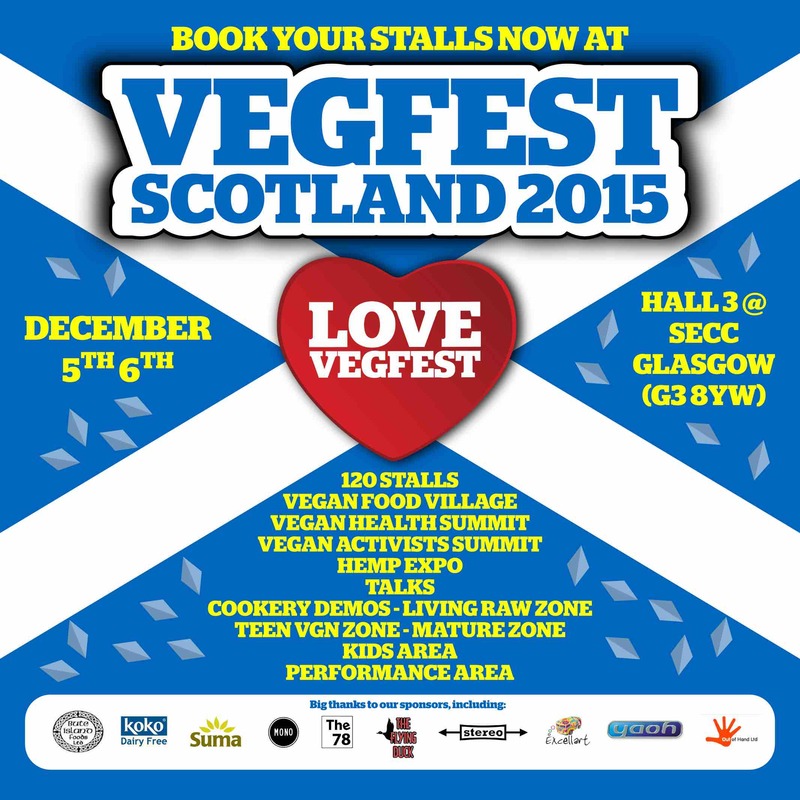 So we'd really appreciate your help in this area – please email info@vegfest.co.uk, and you'll get a free ticket to Vegfest too! We'd be really grateful for your help - plz email miss.percy@gmail.com if you'd like to help, thanks! Meanwhile, please also invite your friends to the event via our Facebook event page here. Prices for stalls, power, lighting, storage etc. 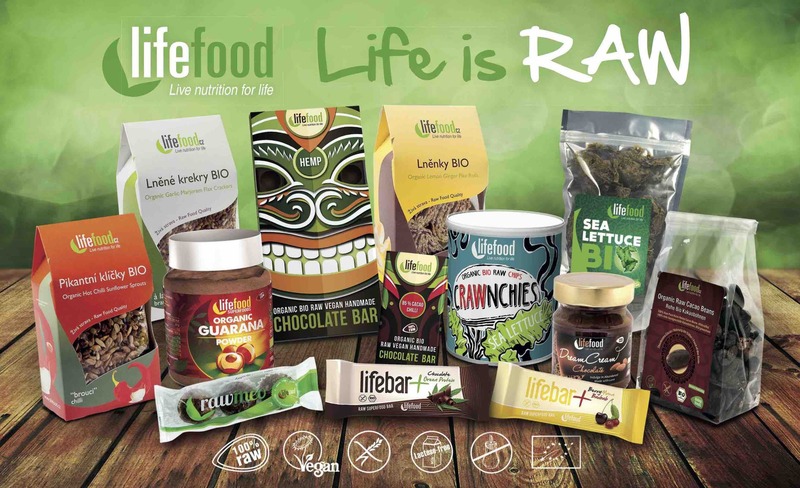 Founded in 2006, Lifefood is now the biggest European producer of top-quality, organic, raw vegan products. These include raw crackers, bread, energy bars, cookies, snacks, chocolates, confectionery and superfoods, all of which help contribute to a vibrant and healthy lifestyle. Lifefood focuses on so-called “truly raw” products - i.e. all the ingredients are 100% raw - of the highest quality. Only raw organic nuts, seeds, fruit and vegetables, herbs, spices, cocoa beans and superfoods are used. The ingredients are sprouted, marinaded or mixed and then dehydrated at temperatures below 42°C in unique dehydrators developed by Lifefood itself. The natural essence and the vitamins, minerals and nutrients thus remain intact and easily digestible. All the products are 100% free of gluten, lactose, sugar and any animal-derived components. No additives, artificial flavours, sweeteners, cane sugar, hydrogenated fat, starch fillers, colours or preservatives are added to Lifefood products. 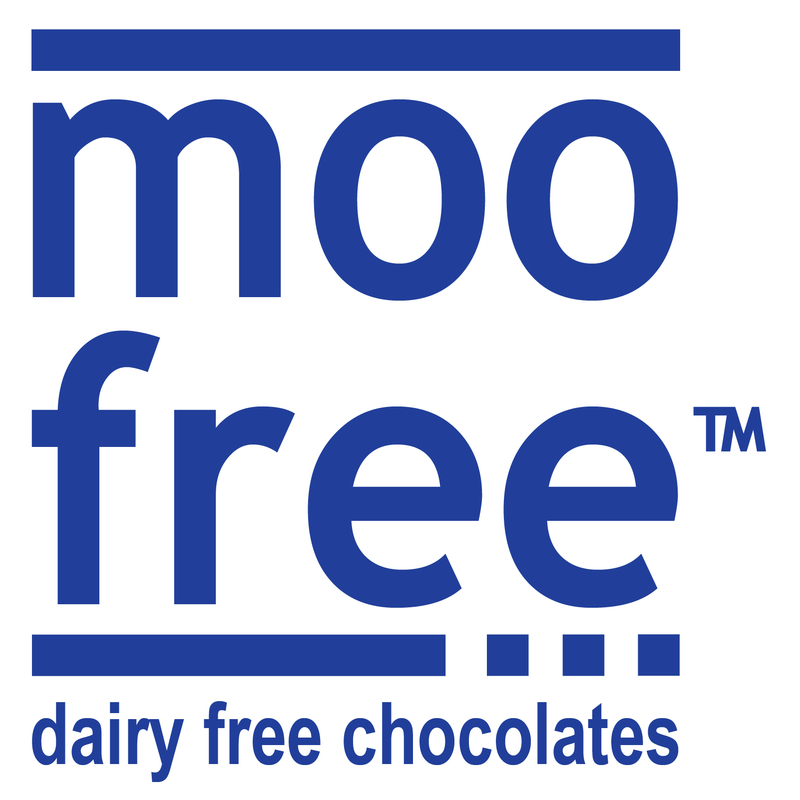 Moo Free is an award-winning, family owned leading manufacturer of vegan confectionery products that actually taste like milk chocolate. To achieve this they have replaced cow’s milk with rice milk to create a delicious, milk chocolate taste that doesn’t require a single cow! As well as being 100% vegan all of their products are dairy free (obviously), lactose-free, gluten-free and wheat free. 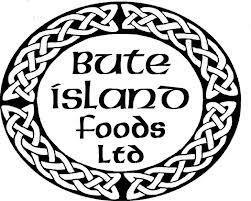 Available in Waitrose, Sainbury's, Ocado, many independent stores and Holland & Barrett. Chocolate that's smooth, rich, and silky, and something a little unexpected. Chocolate that's full of antioxidants, amino acids, vitamins and minerals. Chocolate without preservatives, that's Low GI, vegan, gluten, dairy, and soy free. Chocolate for everyone. Koko Dairy Free milk is a unique dairy free alternative to cow's milk made with freshly pressed coconut milk. It is palatable and versatile either as a refreshing drink, or can be added to tea & coffee without curdling. Koko Dairy Free has recently launched their coconut-based vegetable spread as well as their Koko Cuisine brand of virgin coconut oil. 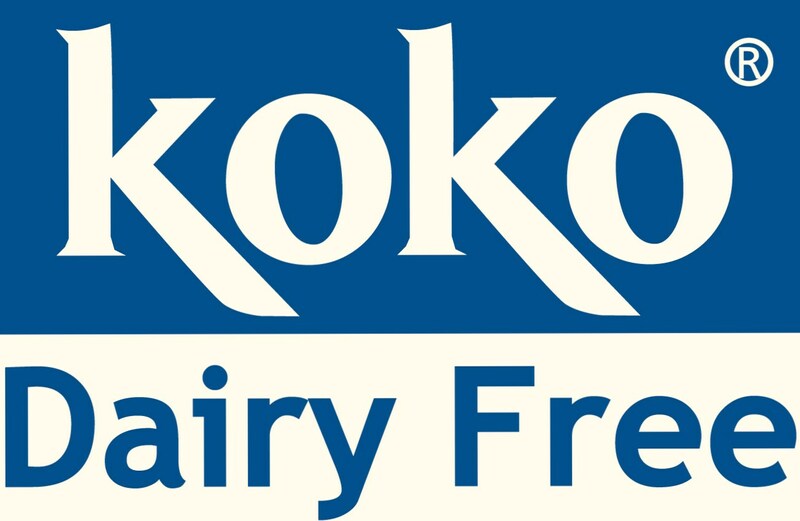 Koko Dairy Free products are now widely available in supermarkets and independent health shops. 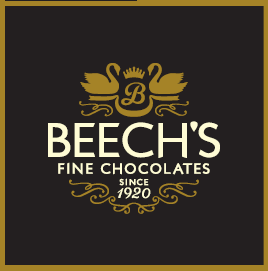 Beech's has been making luxury chocolates in Preston since 1920. All their chocolates are gluten free and made only with natural ingredients. Many of their products are suitable for Vegans and carry the Vegan Society logo on the pack. Delicious Fruit Creams, Chocolate Brazils. Coffee Creams and more. JĀSÖN Natural Care are the leading natural family brand in the UK. They've been around since 1959, offering natural care to families for three generations. Products are vegetarian and vegan friendly, and the whole range is BUAV certified. The range is made following the JASON Code of Honour: select safe, wholesome, natural ingredients; rigorously test every formula to ensure safety and efficacy; never test on animals; constantly innovate and improve. 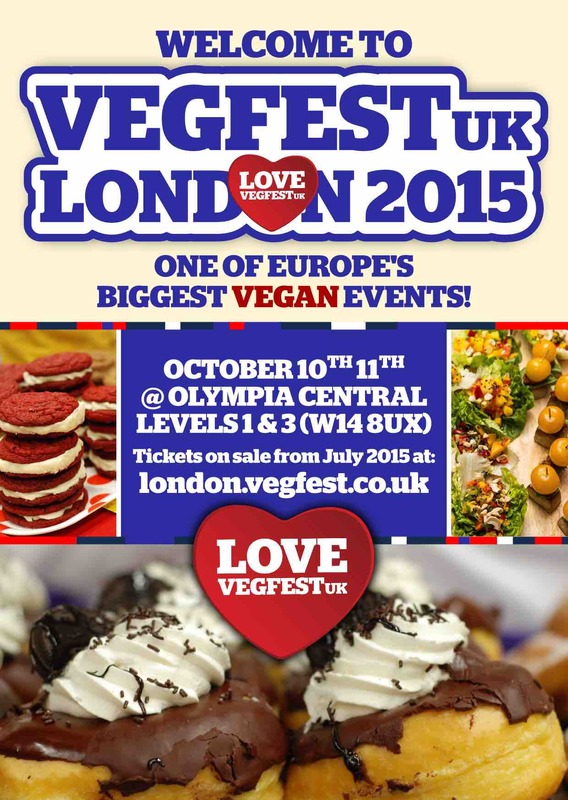 Copyright © 2015 VegfestUK, All rights reserved.